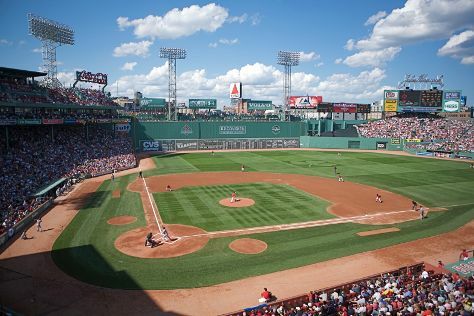 Your day-by-day itinerary now includes Fenway Park. Discover out-of-the-way places like Dolphin & Whale Watching and Ogunquit Beach. Get out of town with these interesting Boston side-trips: Tributary Brewing (in Kittery), Marginal Way Walkway (in Ogunquit) and Provincetown (Race Point Beach, Pilgrim Monument & Provincetown Museum, & more). There's much more to do: visit a coastal fixture at Cape Neddick Nubble Lighthouse, explore the world behind art at Museum of Fine Arts, kick back and relax at Hampton Beach State Park, and take in the local highlights with Walking tours. To find reviews, maps, photos, and tourist information, go to the Boston trip itinerary planning tool . Expect a daytime high around 83°F in July, and nighttime lows around 67°F. Cap off your sightseeing on the 10th (Wed) early enough to travel back home.